It's Foodie Friday and it's not too early to start planning for sweet treats for our Valentines. Why choose between sweet candy and yummy cake when you can both in one bite? I tried these easy treats from Bakerella using a heart shaped cookie cutter instead of rolling them into balls and my DH has declared them delish. I used white Ghiradelli melting chocolate. These are very sweet but oh so good. You can find the recipe on the Bakerella site. They do take a bit of time but the results are worth it. I found that chilling the cake/frosting shapes made dipping much easier. I decided to package up a few of these...they keep awesomely well. I love to surprise my sweet hubby by putting a treat in his car on Valentine's Day for him to find on the way to work. The Cutting Cafe made this little wrap up super easy. I printed the paper on SU Pretty in Pink using the Cutting Cafe's Words of Love Printable Stamp set. After printing the paper I cut out this easy treat wrapper using the Cutting Cafe's Heart Goodie Bag Holder template. A bit of May Arts ribbon trim, some bling and a stamped sentiment that I had leftover from last year and done! If you're a regular follower either through a feed or email, don't forget to go here to guess how much lucious May Arts ribbon is in the pile. Just follow the instructions on the linked post. Poor DH is heading to the dr. tomorrow. He's coming down with the sore throat and cough again! It's been a full month and he thought we were both getting better. The coughing is worse at night. We pray that all of you in that freezing cold and snow stay well. 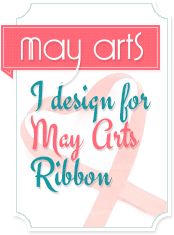 WOYWW - May Arts Ribbons!! What's on my workdesk for What's on Your Workdesk Wednesday (WOYWW) over at Julia's Stamping Ground? Ribbons...lots and lots of May Arts Ribbon! Guess what? I'm giving it to one of my loyal followers for hanging with me during my illness. You don't have to have a blog, you just have to be a current follower either through a feed or email. Let's make it fun and say the person who guesses how many yards of ribbon is in this pile wins it! I'll pick the winner on February 14th - Valentine's Day. Just leave me a comment with your guess. Thank you to all of you who have hung in with me while I recuperate from this nasty bug and try to adjust to having a new puppy while juggling the older one who still thinks she's a puppy. This week's Teapot Tuesday challenge is a sweet one. Two little blessings, Sydney and Austin to SCS Grandmama Kokirose. A big Congratulations to all!! Does anything in the world smell better or feel softer than new born babies. All pink and warm and beautiful. 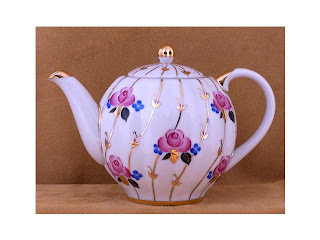 See the link to find the inspiration teapots. Adorable lamps with pom-poms on the lampshades. Stay tuned because I have some candy for the followers and email readers who have hung in there. See you tomorrow. I appreciate you!! I'm still not quite up to par enough to get in the kitchen and bake...coughing, coughing...ugh....so Foodie Friday, version 2011, will resume next week. In the meantime, if you need some ideas for using up those May Arts Ribbon scraps, you can head over to the May Arts Blog for my tutorial on Ribbon Blossoms . 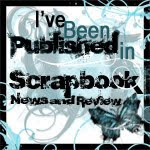 While you're there, be sure to sign up for the May Arts blue Scrap Can Giveaway. 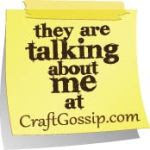 Leave a comment on the May Arts Scrap Can post and you could win the contents of the scrap can. I hear it's fabulous! Something this good, deserves a curtain call! Ah, grade school...the time for recess (I miss it!) chasing boys on the playground, (only if they chased you first, of course!) and young love but ONLY on Valentine's Day (the rest of the time boys had cooties)! Valentine's were simple affairs with maybe a bit of glitter. If you did find one with glitter, well that one went to a VERY special person...maybe it was a special boy but it could have been your BFF. The Cutting Cafe is having a monthly inspiration challenge featuring Valentine projects made by the team. I chose the adorable cards made by team member Stephanie Serrano as my inspiration. She made the cutest cards using the adorable Animal and Bug Love Set. I decided to make my cards just the ones in grade school. Flat and blank on the backside for a "TO" and "FROM". :-) I made a few glittery and sparkly for that special person or two as well. Hurry, hurry....The Cutting Cafe is having a giveaway and she's picking a winner TODAY so hurry over and comment to win! Here's the set in progress for WOYWD 85. 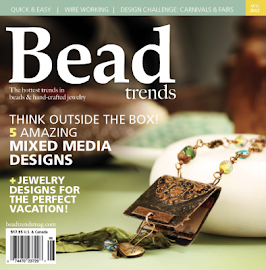 Head on over to Julia's and see what else is on the workdesks this week! Well, I'm still not caught up from my bout with the flu. Still coughing. Goodness, guess it will stop when it stops. I managed to do a couple of quick cards for the SCS challenges this evening. The Mojo is lagging and keeping two puppies from squabbling is like having two kids all over again. Little Bentley is no push over and I have to watch that he doesn't take Chloe's toys. Chloe is a lady and won't argue...unless it's a rawhide,that is! 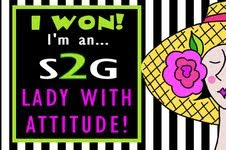 The first card is for the CAS102 challenge to CASE this adorable card by cindybstampin. Since we just celebrated our 42nd anniversary and Valentine's Day is coming up; I kept Cindy's basic design but cleaned it up even more. 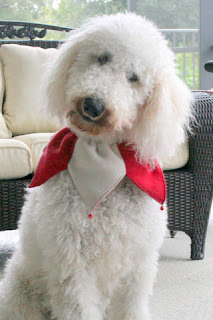 This week's Teapot Tuesday challenge features dogs. Our destination is Miami, Florida where police officer, Alex, is recovering from knee surgery. Thanks so much all the kind comments and for hanging in there with me. Lord willing, I'll be back normal posting now. This cute little snail mail greeter is from The Cutting Cafe's new Love Bug and Animals Set (45 images and sentiments!). Perfect for classroom Valentine's! Be sure to check out the samples on The Cutting Cafe site. This card is going to Abby Fast. Abby is 15 years old and facing an entire year of chemotherapy. You can check out her Caring Bridge site here. There is a small group from SCS who have committed to sending Abby one card a month. If you'd like to participate, you can check out the link for Abby's address here on SCS. To make this card, I printed out the cute little animals and the snail mail frame from the Love Bug and Animals set. I colored, glittered and stickled the snail, then cut him out.and popped him on dimensionals. I cut out the center of the frame using Spellbinders rectangle die. Mounted DP from Making Memories on the back of the frame, then attached to black cardstock. The sentiment comes on the frame! How cool is that? 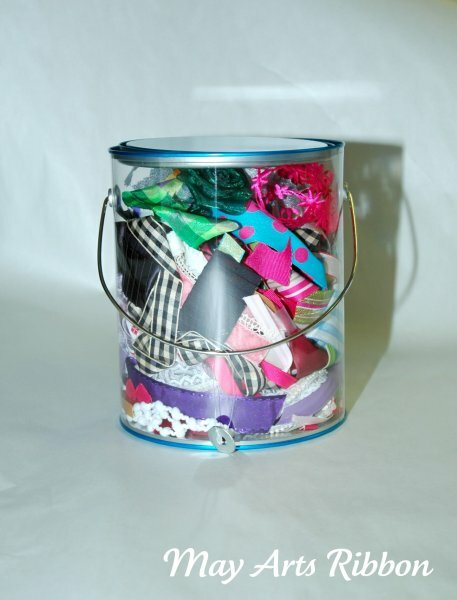 A little ribbon blossom made witht fabulous May Arts Ribbon scraps balances everything out. Just a quick note in case you're wondering why I'm still AWOL...This is pretty much what I look like. UGH! I'm so swollen, I have a double chin. Looks cute on this little guy but doesn't do a thing for my appearance!! Coughing pretty much saps my energy and my Mojo. Hubby is feeling better and I got it a few days after he did so hoping I'm nearly there. He didn't get the cheeky look though! Yesterday was our 42nd wedding anniversary. My sweet DH brought me roses and a Smoothie for dinner. I promised him a proper celebration as soon as I get better! It's hard to be glib about today's post. SCS Teapot Tuesday Destination Station this week is Bellingham, Washington. 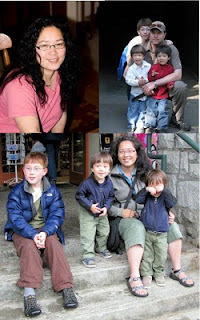 Katie is a young mom with 3 adorable little boys. She has been diagnosed with Stage 4 Stomach Cancer. For those of you who aren't familiar with the stages, this stage is the worst. There is a link on the Teapot post to Katie's blog. Here's my card for Katie. It's based on this teapot. There is a fundraiser for Katie here on Jak Heath. You make a donation and get tons of digital stamps. Thought for today....having a puppy is exactly like having a new born baby. I'm off to grab a shower while he's asleep. Here's the big dog and the little dog so you get an idea of the size difference. This is the evening activity. Big dog allows it for about 2 minutes, then she's up and outta there! Thank you to EVERYONE who left kind get well wishes. My thumb is much better. I think I can cut paper and stamp now. The flu symptoms are another story. 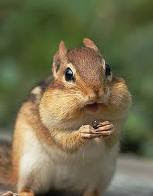 I'm still achey and the glands in my neck make me look like a chipmunk with a double chin. Puffy from ear to ear. Hubby is feeling better so I'm guessing I am a few days behind him in the healing department. In the meantime, I have a little tutorial for you to use up your May Arts Ribbon scraps as well as create a useful gift in a minimum amount of time. Can you guess what it is? Head on over to the May Arts blog to find a complete photo tutorial. I'm still here...still in the brace and coming down the flu that DH so kindly shared with me. I will have to beg off this week and see you all next week. Oh, how I'm missing my paper and ink. A week off for Christmas and now this bum thumb. Typing with one hand is an adventure as well. My Mom is getting me a snack...come back later to see what I made for you. I'm posting this on WOWD (What's on Your Workdesk Wednesday)today so Julia (Stamping Ground) can see how talented I am. Is he not just too cute? This little boy has alot to put up with...you remember the Big Doodle? She thinks he's a rabbit when they're outside together. Yep, food, fun and chasin'. So we have to take them out one at a time until he gets a bit bigger. Hope to see you with some crafting in a few days! Happy New Year and Blog Candy Winner!! Happy New Year Everyone! We returned late from our trip north to KY and IN so have just had time to draw the blog candy winner. Here you go! Sandy, please send me your snail mail via a pm and I will get your candy right to you! Thanks to everyone who took time to post the candy and comment.